Could you paste here the output for the commands above? Hi, it seems to be working now! Not sure what I missed before (i think the rm line). @Vitor_Santos: That’s good. Let us know if you encounter any more issues. I see a UI glitch. 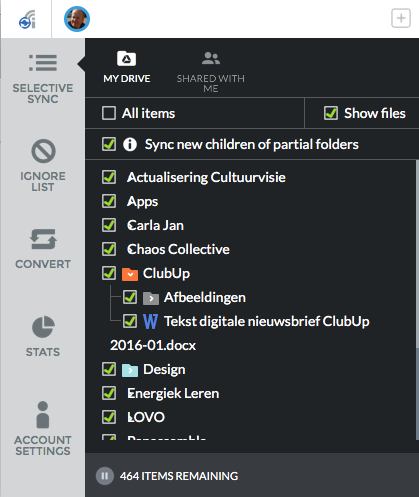 No folder icons in selective sync panel on Mac. If you click a name to open a folder the folder icon shows up. But not from start. I just installed this version on a new install of Debian Jessie, and the process is started, and I got to configure the installation via a chrome window that opened, but I’m not getting a tray icon, and it’s not syncing my files. Any ideas on what I could do? Hello @janpeeters, thanks for letting us know about this issue, we’ll take a look at it. @Dustin_Hess: Please send your logs to support@insynchq.com for investigation: How to find the log files. What desktop environment are you using? @marte @jaduenas @lpugoy I have never seen a so buggy version of Insync. It freeze an iMac 27 5k with 64gb of ram and 4gb of gpu. The external drives (airport time capsule, last generation) on which my two insync folders are located have difficulties to been visualized, not showing the files. I have connected my macbook air to both my airport time capsule and i can perfectly navigate in al the folders (insync folders too), so i can exclude that it’s a problem of my airport time capsules. Quitting insync on my iMac DOES NOT fix the problem, I have to restart the iMac blocking insync to lunch at startup. @Guido_Ricciuti For 1) what command do you use in the terminal to delete the damaged folder and what error does it give you? For 2) do you mean that some files don’t sync until you click on them on the selective sync UI? Thanks for letting us know of your issues. @marte first of all the folder “instagram photo i like”, once it was out from insync folder, had been renamed in “ppp” to don’t confuse me while I’m working. For 1), try doing sudo rm -r "/Volumes/Data/ppp" instead. Make sure that ppp is already backed up somewhere because that command will delete ppp without putting it to trash. For 2), we’ve received similar results from some users and will have a fix soon. maybe a team viewer session so that u can have a better/deeper look at the problem? If it still doesn’t work, let me know and I’ll PM you details for a team viewer session. Thanks! let me know how to proceed? 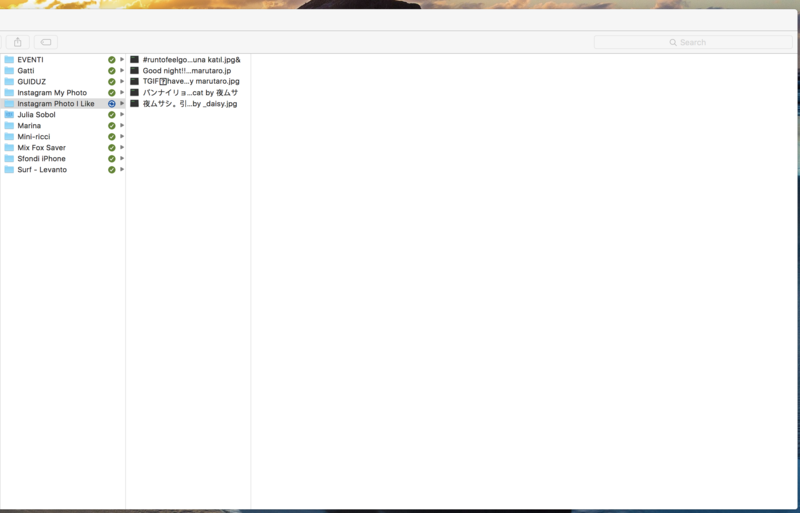 so with the command "sudo rmdir /Volumes/Data/ppp" , i was finally able to delete this folder!! Hello @Guido_Ricciuti, can you try the new version for your 2nd issue and see if it resolves? Hi @marte ! Im gonna test it out and keep u informed !